Some are calling the Millennials "Generation Nice." But The Pew Research Center’s sequence of reports on millennials found not an entitled generation but a complex and introspective one — with a far higher proportion of nonwhites than its predecessors as well as a greater number of people raised by a single parent. Its members also have weathered many large public traumas: the terrorist attacks of Sept. 11, costly (and unresolved) wars, the Great Recession. Pew reported that the millennial generation is skeptical of institutions — political and religious — and prefers to improvise solutions to the challenges of the moment. 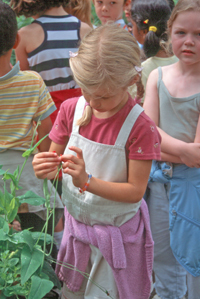 Join the young Emergents this week to chat about Gardening and entering the Horticultural workplace on #Plantchat! Join @CoronaTools and #plantchat co-partner, Brienne Gluvna Arthur @EmergentPro for this week's topic, Discussing Gardening and Horticulture with Millennials. 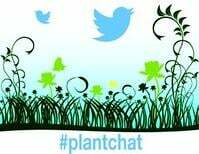 The live chat begins Monday, August 25, 2014 at 11 a.m. PST / 2 p.m. EST, were we come together with green industry experts and fellow horticultural tweeps each week to discuss all things related to plants and horticulture, since 2014. Priorities for Millenials - 64% have stated they prefer making 40K in a job they love vs 100K for a job they don't. Skills and Knowedge - Do millennials know how to grow? Do they have horticultural skills?